It's interesting how we dismiss things that are familiar, mundane and humble. Sometimes a different location or a different setting is what makes us appreciate those simple things in life. 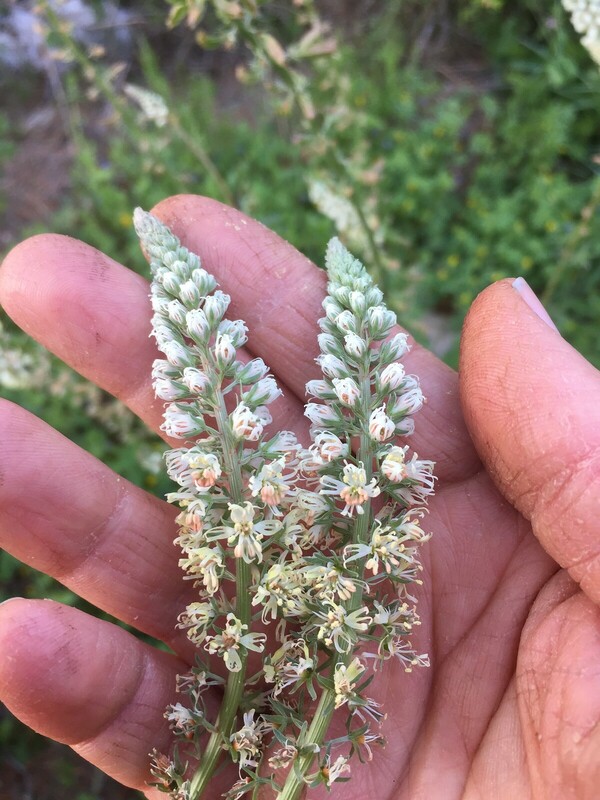 I've probably seen mignonette (Reseda alba) a million times growing up among the abundance of wildflowers in Northern Israel. But never thought of smelling this one up close. In fact, knowing how stinky its leaves are, with an almost poisonous, green aroma that sticks to your hand if you pick or crush them, I didn't even bother to sniff them, ever. Fast forward a few decades, and I find myself on a lovely early spring day at the Ain Afek Aquatic Nature Reserve. It is dedicated to preservation of aquatic plants and wildlife, so naturally, every unusual plant that crosses my path, I stop to sniff, touch and snap photos. This tall cluster of tiny white flowers looked especially fresh and enticing, so sniffed it I did. And immediately was transported to perfume heaven: It smells like a mixture of tuberose, mango and crushed green leaves in the most lovely way possible. It also reminded me a lot of Private Collection by Estee Lauder. So when my brother identified it for me, I was not at all surprised that it was reseda. This is what gives this perfume this outstanding, unique, disturbingly green and orange-blossomy scent! I also realized it was not rare at all and can be found quite easily around here. So I'm waiting for the seeds to be ready and will save some to saw next year around my studio. There is also a desert variety which is yellow (Reseda lutea). 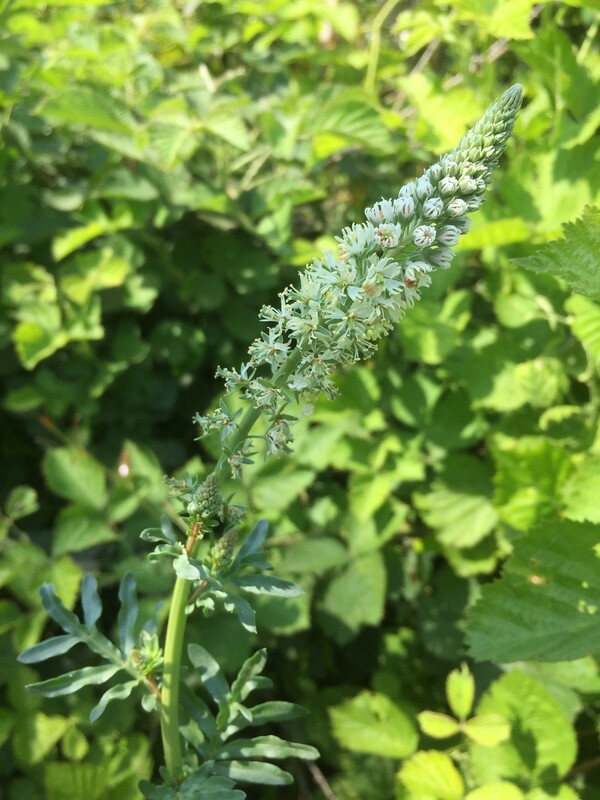 It is not the exact species used in perfumery, which is Reseda odorata - but it smells good and strong enough for me, and I would love to try to capture the scent via vegan enfleurage technique. Can't wait!